This is a very common question I am asked frequently. Many of us know that we shouldn’t use processed oils but it is something we have always been accustomed to. Sauteing is typically defined by cooking or browning in a pan containing a small quantity of butter, oil, or other fat. Let me explain a little bit of science behind cooking in this manner. The Science behind the process of browning is known as the Maillard reaction. It is a chemical reaction between amino acids and reducing sugars that gives browned food its distinctive flavor. It is named after the French chemist Louis-Camille Maillard, who first described it in 1912. The reaction is a form of non-enzymatic browning which typically proceeds rapidly from around 140 to 165 °C (280 to 330 °F). Many recipes will call for an oven temperature high enough to ensure that a Maillard reaction occurs. Cooking meats to this point have been shown to be carcinogenic. (Cancer causing). In 1913 Maillard published a paper to explain what happens when amino acids react with sugars at elevated temperatures. However, it was chemist John E. Hodge, working at the U.S. Department of Agriculture in Peoria, Illinois, who published a paper in 1953 that established a mechanism for the Maillard reaction. Ok, maybe TMI, but I always like providing the why before I explain the how. Cooking without oil is not only healthy but even more delicious. First, I take into consideration the flavors of the dish I am preparing. A common technique is simply to use 2 Tbsp of water in a hot pan to slightly soften veggies. This technique causes a steaming effect and the veggies become absorbent. Keep in mind this absorbent process will also absorb oils, which is something in a healthy diet we do not want. I like to take advantage of this and use liquids that provide flavors. Here are some flavor enhancing oil-free sauteing ideas that I use. The key is to not use more than 2 Tbsp of any liquid at a time or the veggies will potentially get mushy. Personally, I prefer my veggies slightly cooked but still have a crunch or a bite to them. 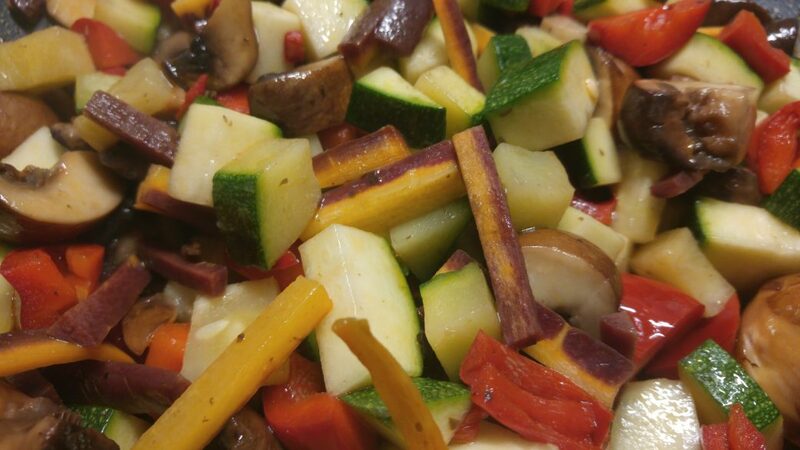 If you enjoy cooking with mushrooms you will love my technique to saute the perfect veggie. Another excellent way to tell if your veggies are done is when the 2 Tbsp of sauteing liquid has evaporated and just saute them a minute or two longer and they will be done. I put an article together with video references to some of the top plant-based doctors explaining why vegetable oils are harmful to our health.